Have you suffered from a medical misdiagnosis? If you have suffered as a consequence of a medical misdiagnosis then you may have a case to make a medical misdiagnosis claim for compensation. There are numerous common symptoms which may appear in a variety of different medical conditions. An incorrect diagnosis is probably one of the more common examples of medical misdiagnosis because on occasion the medical practitioner may believe that various symptoms relate to an unrelated condition. It is only after the various tests are carried out to eliminate potential issues that the final medical diagnosis can be arrived at. In some cases people will go through treatment which was not actually required such as chemotherapy and even the removal of organs due to an incorrect diagnosis. At this point it is also worth noting the mental stress which can follow an incorrect diagnosis and the fact that this is something which is recognised by the courts. Total misdiagnosis is unfortunately still fairly common especially when you bear in mind that one symptom on its own may not indicate an underlying issue. However, if a medical practitioner failed to link together various symptoms which should in theory indicate an underlying issue then there may be serious consequences further down the line. This can have a major impact upon not only the person’s physical but also mental well-being. In reality a total misdiagnosis will at best lead to an extended period of recovery, during which the correct diagnosis is made. Compensation claims for medical misdiagnosis tend to involve a variety of different conditions where a late diagnosis was made. As with any compensation claim, there needs to be proof of negligence which in this instance relates to an inability to diagnose a fairly obvious medical condition. In some situations a reluctance to carry out further tests, which would have clarified the underlying condition or limited access/ no immediate access to the appropriate testing equipment can exacerbate an already challenging situation. In hindsight it is very easy to look back and identify issues of total, incorrect or late diagnosis but in the thick of the action it may not be as easy. The general measurement for negligence identifies the level of treatment you should expect from a similarly experienced/ qualified medical practitioner against that which you received. The majority of medical misdiagnosis compensation claims will involve the input of additional specialists across various fields. Failure to utilise additional tests to identify any underlying medical condition. Inadequate experience with a particular medical condition can lead to misdiagnosis or late diagnosis. Failure to match symptoms with available tests. Simple human error carrying out tests or reviewing scans and x-rays. Incomplete patient medical records can also lead to misdiagnosis. Substandard training and supervision especially where junior medics are involved. Anyone entering a hospital for a medical diagnosis or treatment should expect a high level of care from the medical profession whether it’s a diagnosis on the NHS or privately. 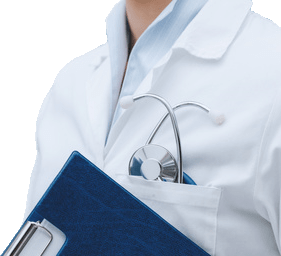 When looking to make a claim for misdiagnosis compensation the treatment received would be compared against that which you would expect to receive from a similarly experienced/ qualified medical practitioner. It is likely that evidence from specialist medical professionals will be required. It is also important to bring together additional any other evidence of the misdiagnosis such as details of the treatment you have received, timescale, symptoms and photographic evidence where relevant. If a fatality is involved the right to pursue compensation is transferred to the victim’s family, partner and third parties acting on their behalf. Experienced medical negligence solicitors will often call upon the evidence of specialist practitioners in these type of claims. Contacting law firms that specialise in personal injury and medical negligence claims to enquire about a misdiagnosis provides the opportunity for a specialist solicitor to review your situation. Most are happy to give their advice and their expert opinion free of charge and will likely suggest making a medical misdiagnosis claim with them if they think you have a strong case, and probably with a No Win No Fee agreement.